Say hello to Oreo truffles. If you have never had the pleasure of meeting these guys, let me tell you, they are WONDERFUL! Even if you don't care for Oreos (wierdo!) you'll still enjoy these bites of chocolate heaven. Crush the whole package of cookies in your blender or food processor to fine crumbs. Place crumbs in a bowl. Add cream cheese to crumbs and mix until completely blended. Roll cookie mixture into balls, about 1 inch in diameter. Place the Oreo balls in the freezer for about 15 minutes. The chocolate will adhere better if the balls are cold. 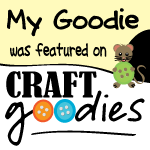 Dip balls in chocolate and place on a wax paper covered baking sheet. If you are topping the truffles in something such as cookie crumbs or sprinkles do it now before they harden. I topped some with Valentine's Day sprinkles. I also melted some white chocolate. I put it in a baggie and snipped a corner. Then drizzled the white chocolate over the truffles. Oh dear, these are good! These are just beautiful Oreo Truffles. 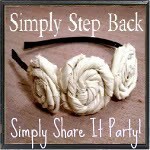 I really like you step by step photo's, great job. They just look delicious. Thank you so much for bringing them to Full Plate Thursday and please come back! I had these at several parties and did not know the recipe they taste wonderful but yours are really cute!! Thanks for the recipe! Oh my Gosh! I'll take a few...a cup of coffee...and I will be in heaven! Thanks for showing these! We are doing a dinner for our church for Valentine's dinner and these would be so great to make! Hmmmmm....I love it! That is so pretty but Don said just give him the cookies. I'm still going to bookmark it and surprise the grandchildren. Happy Valentine's Day and Pink Saturday. These sound heavenly! Will definitely have to try my hand at making these. It would definitely please my chocoholic sweetheart! I have made these and they are so good. You really dressed yours up! So pretty! 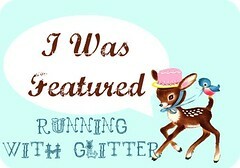 Just found your lovely blog via Pink Saturday. 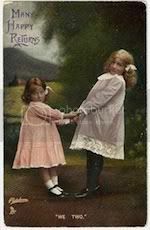 I'm your newest follower and would be delighted to have you follow me back. Have the sweetest of Pink Saturdays! Delicious. I can't imagine anyone not liking these. Thanks for sharing this easy recipe. 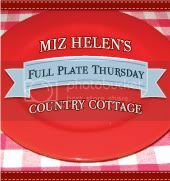 I stopped by from Miz Helen's Full Plate Thursday and now following you. Please visit if you have a chance. Super cute!! these look delciciosu!!! Oh, my.....we need to figure out how to send virtual smells and tastes...hee hee They sound and look divine!! I'm visiting for Pink Saturday...hope you have a wonderful weekend and have a romantic Valentine's Day. I cannot WAIT to make these. 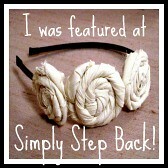 Thanks for linking up to Simply Step Back! Yum, yum, yum! I'm so drooling over these. I love how you decorated these. They look like cute little bites. Thanks for linking this up to Sweets for a Saturday.